Dr. Andreas Kaufmann, Chairman of the Supervisory Board and majority shareholder, Leica Camera AG: "Photographers are extremely important for their chosen camera system. Particularly in the increasingly growing market for mirrorless system cameras, there is an ever-increasing variety of different requirements on the part of the users. In order to be able to meet these requirements at short notice, we have decided to work together with renowned partners from the photographic industry. Panasonic associates us with many years of partnership and trusting cooperation and their expertise in electronics is undisputed. Sigma is also a respected company, which has established itself particularly in the field of optical development and can offer a perfect complement to our existing L-Mount portfolio with its innovative products , We believe that together with our partners, we can achieve mutual and sustainable growth for all our products. " Mr. Tetsuro Homma, Senior Managing Executive Officer, Panasonic Corporation, said: "Panasonic's focus has always been to revolutionize the camera market and make photographers' lives easier, more advanced, and more enjoyable. Our long-standing partnership with Leica has resulted in numerous high-performance, high-end digital cameras, combining Leica's leading optical technology with Panasonic's digital technologies. This partnership has enabled us to drive the development of excellent digital photography products. The L-Mount alliance with Leica and Sigma is a prime example of the power of our collaboration. This alliance of strong companies will fundamentally change the future of the photography industry. As a market challenger we always have the slogan 'Changing Photography' Driving innovation to meet the high expectations of professional photographers. Our partnership with Leica and Sigma will open up additional business opportunities for our companies, but above all, it will continue to delight our customers in photography. " Mr.Kazuto Yamaki, Chief Executive Officer, SIGMACorporation: "As cameras evolve toward digital and mirrorless, user and system requirements have also changed. Currently, there is an almost overwhelming choice of different systems that, however, do not yet meet all the needs of users, especially in terms of extensibility and flexibility. SIGMA joins this alliance to develop mirrorless cameras that benefit from the short run. 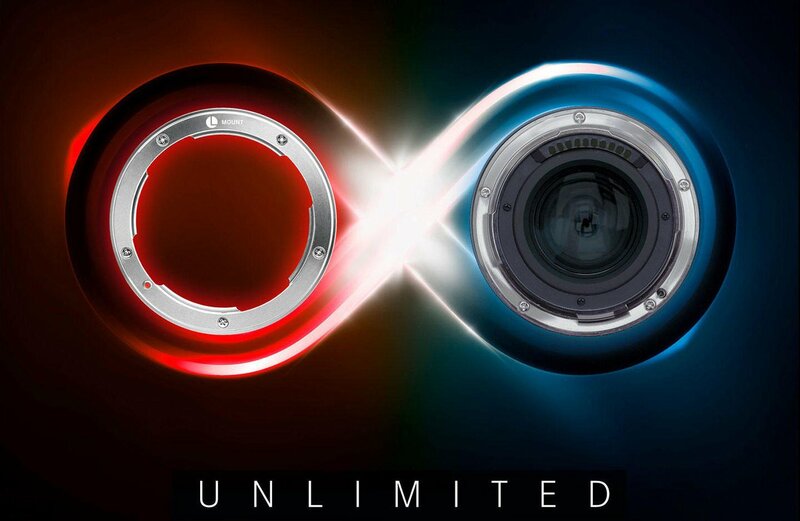 As SIGMA seeks to develop high-quality and innovative high-performance products, this alliance will greatly enhance both the implementation and expandability of our camera system, significantly increasing the value to our customers. 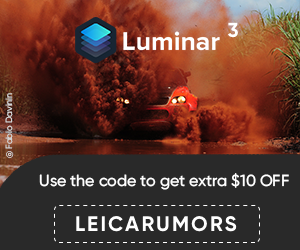 Leica is a great company and has been a major influence on photography for more than 100 years, and Panasonic is due to it proven developments market leader in many different areas. Combined with SIGMA's high quality, high performance and unique products, the L-Mount will become an extremely attractive system for potential users. " The L-Mount has been designed by Leica Camera to provide customers with a future-proof, flexible, rugged and precise bayonet that will meet even the most demanding photographic needs Leica T, the L-mount has been continuously developed by Leica Camera and its partners, resulting in an improved and quasi-new L-mount technology. For the widest possible variety of products, the diameter of the L-mount was dimensioned at 51.6 millimeters, making it suitable not only for full-frame cameras but also for APS-C sensors. The small footprint of only 20 millimeters allows for a small distance between optics and sensor, making lenses much more compact - particularly useful for wide angle development. To withstand even the heaviest loads and to guarantee maximum safety for customers over many years of intensive use, camera bayonets become wear resistant Stainless steel and with four flange segments, which prevents tilting and ensures a particularly firm and flat fit of the lens. The standardized L-Mount contact strip ensures smooth communication between the electronic components in the lens and the camera, including the possibility of firmware updates for lenses, in order to react to technical developments and thus ensure full performance in the future. Currently, the Leica SL system in full format and the APS system with camera models Leica CL, TL2 and TLde use the lens mount. All the optics of the different systems can be operated without restrictions and without adapters on all cameras - here is already one of the many advantages that customers have through the unified bayonet.In the near future, both the Leica CameraAG, as well as Panasonic and Sigma announce other products using the same standard. Panasonic LX100 Mark 2 camera leaked online, will there be a new Leica D-Lux? This entry was posted in L-Mount Alliance, Other Leica Stuff and tagged L-Mount Alliance, Leica L-mount. Bookmark the permalink. Trackbacks are closed, but you can post a comment.